One day, the end of babywearing will arrive. There will come a time when you stop carrying your child. This is likely to bring very mixed emotions. Our lives as parents are full of the most exciting and precious “firsts”; the first flutter, the first cry, the first kiss. Then comes the first feed, the first smile, the first word, the first steps. Not all firsts are delightful, of course… but at least there is some relief in getting some of these hurdles done and dusted; the first injury, the first day at nursery, the first day at big school..
Inevitably, there are “lasts” too. Sometimes these are planned and some are welcomed; the last injection, the last day at pre-school before the long holidays, the last day in a plaster cast. Many “lasts” creep up on us unnoticed, which is a mercy; would you want to know that tomorrow your child would no longer ask for milk, that yesterday was the last time your child would agree to hold your hand in public, or that you’d just carried your child in your arms for the last time? It’s inevitable… our tiny babies grow bigger, and they just don’t stop growing, until before we know it, we have toddlers, and then pre-schoolers, and then school-age kids, teenagers, and one day our children will have children of their own. All parents stop carrying their children eventually, for many reasons. 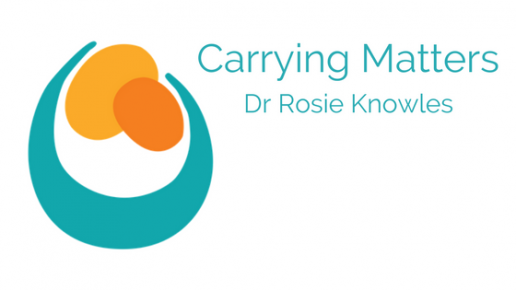 Some stop soon after birth, because they feel their bodies aren’t strong enough and that their baby is too heavy (this is usually just a matter of finding the right sling to be comfy and supportive, getting muscles used to it and then carrying daily. 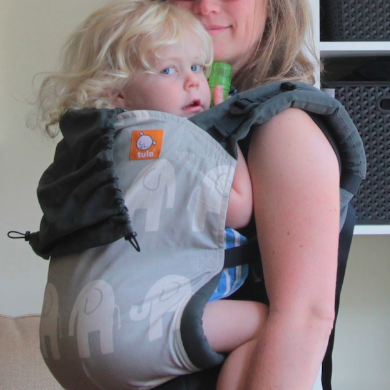 Many families carry toddlers and preschoolers in slings with great happiness and in comfort. Do go and see your local sling library for help. Some may stop out of fear that the sling isn’t on right or isn’t safe. It is good to be safe and to know how to use your sling well; this is where sling libraries and consultants come in. They can help you build your confidence and keep you carrying happily. See the TICKS guidelines and “Sling Safety” for more. 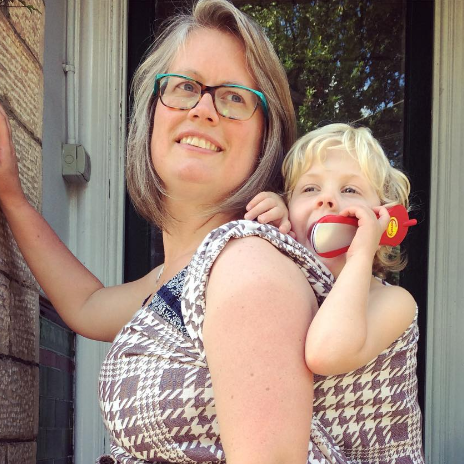 Others may stop out of fear that too much carrying will spoil a child and make them clingy (for a full discussion of the cultural misconceptions behind this please see here – “Do Slings Make Children Clingy?”). In summary; a sling won’t spoil your child and will actually help their emotional development. Still others will stop because their baby doesn’t seem to enjoy being in a sling at all. This can be easy to sort out (see “Help! My child cries in the sling” for some further reassurance and troubleshooting). Some will stop because their child is now able to walk and “no longer needs carrying…” This isn’t true, big kids like to be carried too! Some toddlers will go on “sling strike” for a while as they want to explore their new skills of walking and many will come back to the cuddle of the carrier when they are ready, on their own terms. It is usually best to be guided by your child. 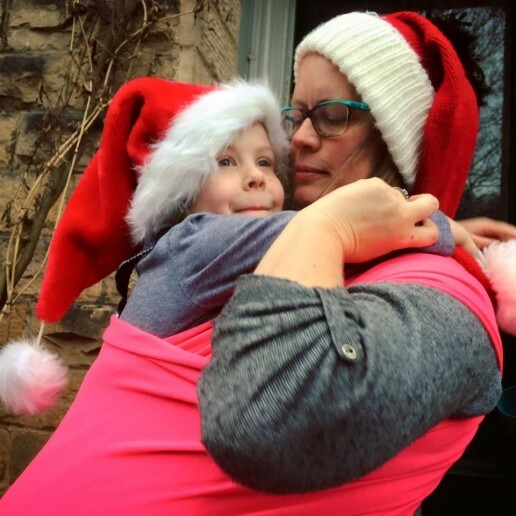 And finally – some will stop because their older child no longer wishes or needs to be carried; and this is where my daughter and I are now, we are at the end of babywearing. I cannot carry my son any more; he is ten years old and hefty and I am just not strong enough (I still hold his hand as he drifts off to sleep every night, long may it last – every chance for connection is so precious). My little big girl is seven! She is still light and portable, but she really doesn’t want carrying much these days. We carry in arms and with piggybacks more than slings, probably, but from time to time when she is tired or overwhelmed, she will ask for a carrier; and specifies which one too. The ring sling (purple, please!!!).. the clip one (no, not that one, THAT one! )… or the wrap (on the front today, Mummy.. no, on the back! no, front, haha! Can we have the Elsa one today? Oh, there’s a new wrap, can I have a sweet if you want a go Mummy?) She really surprised me by asking for a sling almost every day of the summer holiday before she turned six, and then fairly often before she turned seven too! She asks for it more on holiday probably as I’m not working as much and am therefore more “available” to carry her and she wants to make the most of it. I love every last second of each snuggle, being wistfully aware that our carrying days are numbered, probably to the fingers of my hand. Is this the last one? Is this the end? She’s been in slings all her life, since she was a newborn. It hasn’t harmed or slowed her development; she crawled and walked and ran at the expected ages, is fiercely independent and is often a speck in the distance running far ahead. She is strong and lithe and fast on her feet. She sleeps all night in her own bed. She sings all day long and she sings herself to sleep; and I am convinced the slings played their part in our family journey together. I’ve used slings that I chose both for their comfort and their beauty, and we have enjoyed great happiness in them together. But they have also brought us great value beyond their functionality. The slings have allowed us to be connected physically for far longer than would otherwise be possible with only-in-arms carrying. They have helped us to bond and to communicate (I am deaf and have to lipread), they helped us to recover from illness or sadness, they have allowed us to explore our glorious Peak countryside off the beaten track. The babywearing has done its job…. she is well adjusted and resilient. But oh, my heart! I will be forever grateful for the role our slings have played in family life; and each carry now is tinged with nostalgia. One day it will have been the last time. Until then, I will carry her whenever she asks, and enjoy every single second.